Would you buy twitter followers? I started on twitter in the spring and today I received an alert that 27,000 users follow me on twitter. Most of these are people however some are company twitter profiles or the blog twitter profiles. Having a large number of followers on twitter does drive traffic on to my blog but would I Buy twitter followers, well the answer is probably yes. The way that twitter is developing is that more and more people have more followers. You tend to end up with lots of twitter followers listening to lots and lots of conversations and interacting with only those which you values or contain information that you are interested in. So how would it help to Buy twitter followers? If you are engaged I a conversation which you want to share or are passionate about a cause and want to be able to tell the world having a large number of twitter followers is helpful to get the word out. If you buy twitter followers will they listen? The answer is yes they will and my experience is that if you what you say is worth listening to even if you did not know them before then your followers on twitter will communicate with you. 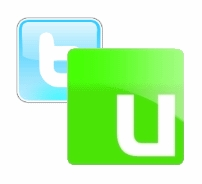 I am planning to review a company called Usocial shortly who provide services to build your twitter followers and let you buy twitter followers. I agree that having a large number of Twitter followers is good for generating traffic. Not only does one get a lot of people to come over to the posted site, but having a large number of followers makes it easier to get more. For some reason, Twits who see one person with 100 followers and another with 10000 followers will assume the latter must really deserve to be followed. And if I’m tweeting for a client, I’m no angel. However, purchasing 1000 follows in a week sounds like a bad deal – anyone can get this on their own if they don’t mind doing the legwork. I don’t think buying followers does anything help the lazy – and the company willing to get the account in question those 1000 sets of extra eyes. You may want to do the legwork however there are lots of people who do not have the time or the know how to get lots of twitter followers and are and do have the money to buy twitter followers.